The "Green Rush" to cash in on the potential of a brand-new market has cooled, and it appears that the bloom is off the bud in the volatile cannabis space. Major cannabis companies like Canopy Growth Corporation and Aurora Cannabis Inc. have seen their stock values sharply decline. After the heady rush to recreational legalization, it appears that investors are taking a long, sober second look at pot stocks. What they're seeing is an infant industry suffering growing pains. Concerns over governance, inefficiencies within the production space, and marketing, as well as looming supply shortages, have cannabis companies scrambling to win back investors who have left and also vying to gain the confidence of new investors sitting on the sidelines. So how do you build the cannabis equivalent of a better mousetrap? It would need to be one that can take advantage of unexploited niches in the domestic market and at the same time lay the foundations of a company that can expand into the rapidly growing global cannabis market. "Where this company gets interesting is when you see what we're doing overseas, and that's going to hopefully open up some eyes and will show we're not just a Canadian company, we're a global player." — Khurram Malik, CEO Biome Grow Inc. The response from Khurram Malik, CEO of Biome Grow Inc. (CSE: BIO) (Frankfurt: 6OTA) is to build a "start-up conglomerate" that can profit from both mistakes and successes in the Canadian cannabis space. It's an approach that results in a lower risk profile while still maintaining a significant upside for investors. "I call it a start-up conglomerate which I don't think is a term that exists in business school textbooks, but it fits because even though we're a young company, we're in a bunch of different areas," says Malik. "For instance, we have signed large purchase contracts, which a company of our size shouldn't be able to pull off, but we do because we go after opportunities when we see them." Malik has assembled a small but experienced management team with the goal of building Biome Grow into the next Canadian cannabis conglomerate. The team has experience in finance, growing technologies, regulatory affairs, business building, and marketing. With five brands and diversified holdings, the company is poised to become one of Canada's leaders in medical and recreational cannabis businesses. Launched in 2017, Biome Grow takes a different approach to the market than its competitors by focusing on the local consumer ­— what they want in a product and a buying experience. The company focuses on regional cannabis growing and business growth with an emphasis on Eastern Canada. 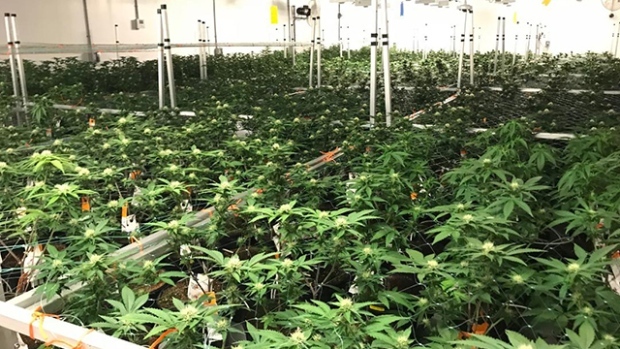 Biome Grow's Newfoundland and Labrador brand, Back Home Cannabis Corporation, recently entered into a 24,000 kg, three-year production, and supply agreement with the Province of Newfoundland and Labrador. The company anticipates annual revenues of up to $100 million and recovery of $52 million through reduced remittances to the Newfoundland and Labrador Liquor Corporation beginning in 2020. 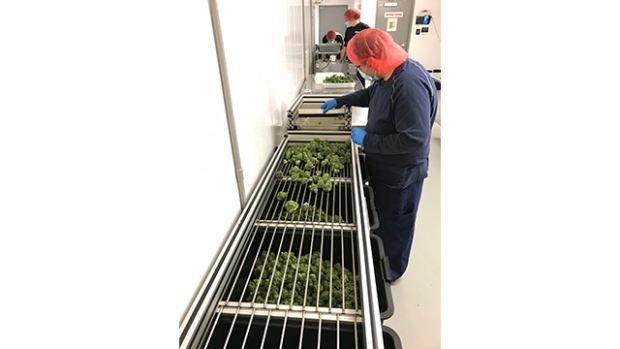 A grower at Biome’s Nova Scotia facility is working on product grown to suit the Atlantic Canadian consumer. Malik says the company will focus on being "the first in the door" as more and more jurisdictions legalize medicinal and recreational marijuana, especially in Europe. "There's a whole world out there with many large jurisdictions coming online with new regulations, such as Western Europe and other parts of the world as well," says Malik. "That's where the real prizes are." Malik says the next step in the company’s growth will come as it announces even larger international deals in the near future. Building further distribution capacity on the backbone of the Back Home Cannabis-Newfoundland and Labrador deal is a key company focus. Malik notes that in the new year Biome Grow will also focus on completing additional production space and signing additional customer contracts. They'll also continue to lay the groundwork for international expansion. "Where this company gets interesting is when you see what we're doing overseas, and that's going to hopefully open up some eyes and will show we're not just a Canadian company, we're a global player," says Malik. "Some of the stuff we do today may look a little weird, but there's a method to the madness." Biome Grow will also develop Weed VR, a new virtual reality technology platform focused exclusively on the medical and recreational cannabis markets. Acquired in June, the platform will allow Biome Grow to increase consumer accessibility across Canada and international markets through virtual, augmented, and mobile platforms. Inking big deals is essential, of course, but for Malik, another key to success in the cannabis industry is focusing on the individual customer and understanding regional differences in their expectations. The company prides itself on offering products and services to a client base currently forced to buy generic offerings. "The Nova Scotia customer who may be a 40-year-old single mom has very different expectations from, say, a customer from Prince Edward Island," says Malik. "They need different things. They want different packaging, they have different requirements for what is a positive customer experience, and we cater to those expectations at our various retail locations." Malik says another common mistake made by many Canadian cannabis companies is they try to build their brands without first finding out what their customers want from them. "Our approach is more efficient, and that's important because when we take an investor's dollar, we can stretch it for them further than anybody in Canada." Another key focus for Biome Grow stems from their production side. The federally licensed cannabis producer has over 390,000 square feet of multiple production facilities in operation and under development. Recently, the company announced plans for a $52 million, 168,000 square feet production facility in Barachois Brook, NL. Malik says the state-of-the-art facility will be highly-automated, unlike many of the competing firms’ operations. More automation means a more predictable supply and takes the human error factor out of production. "Other companies build 100,000-square-foot buildings and staff them with 200 people or more, and that causes a lot of instability and variability because you're kind of guessing and you really don't know," says Malik. "With a greater level of automation in our facilities, we have much more predictable supply and our operating margins are dramatically better. We think it's a better way to build a mousetrap." Malik has extensive experience in the cannabis industry, but he's also worked in the power, infrastructure, technology, energy, and mining sectors. He discovered that, especially in highly-regulated sectors like energy, getting inside the head of the regulators can give a company a significant advantage. "Cannabis is a highly regulated industry, but if you understand the regulations as well as the psychology behind the regulations or whomever the regulator is, you can build a business and take advantage of that," says Malik. "You can forecast what the regulations are going to do the next two or three years and that's what we're good at — we're regulatory specialists."